USED Mid 1970s Original Tesla E88CC 6922 Gold Pin Tubes with Gray Risers re-labeld by Woodstock. Made by Tesla Rožnov n.p. Závod Vrchlabí in former Czechoslovakia (now Czech Republic). Packaged in generic white boxes from bulk box. Discounted - Same the same lot of Item 699-W, these tubes appear to be used. PICTURE IS FOR REFERENCE ONLY. These tubes will show some burn marks. All tubes came from the same lot with small variations in the print e.g. E88CC/E88CC-S/E88CCS. There is no difference between the tubes. Tubes will be matched according to the test scores and not the label cosmetics. Chalky white Woodstock labels are very fragiile and not perfect. We do have to pass almost all bulk boxed tubes through pin straightener, and you will see minor marks on the pins. Tube pins are malleable and bend easily with lateral movement in the bulk boxes. 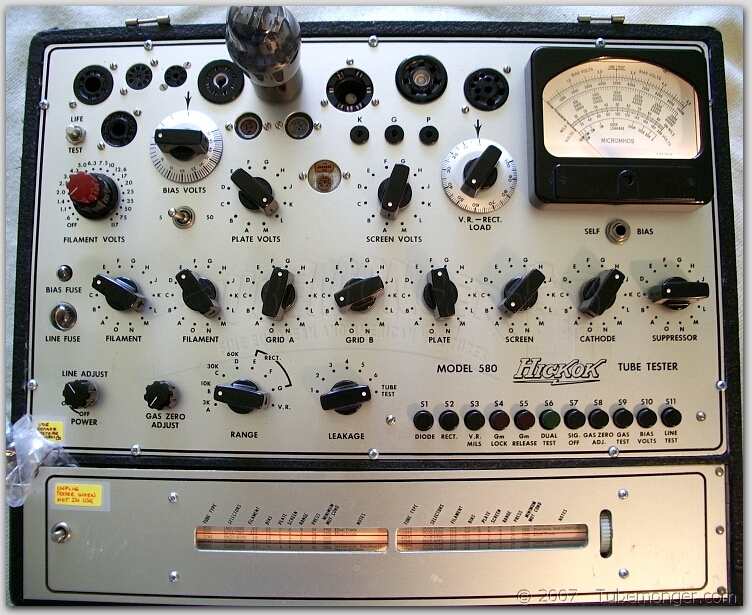 Tesla E88CC tubes were copies of the 1960s Siemens tubes with Splatter Shield. Fine tubes and better than any current production or Russian tubes. Tesla E88CC tubes were relabeled and sold by Siemens, Valvo, Telefunken etc. during 1980s when the original Western European tubes were no longer available. Single Tube = $20. Select 2 for a Matched Pair.